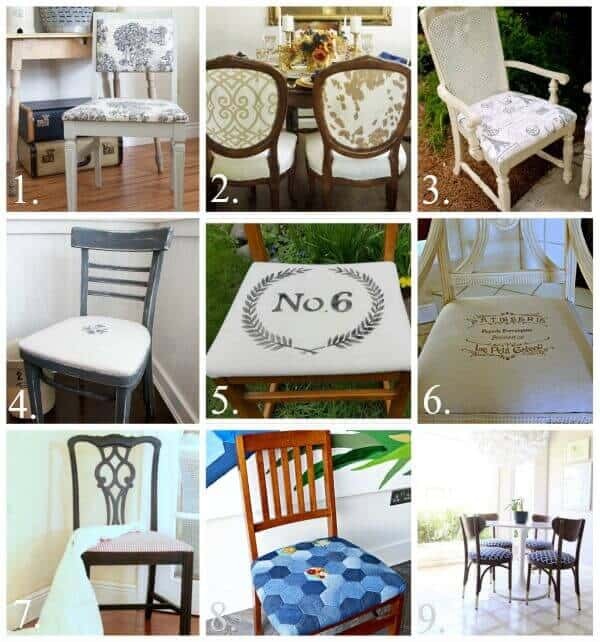 Over 50 Easy Upholstery Projects you can DIY today! Do you pass up project pieces at yard sales because they seem too daunting? Do upholstery projects scare the DIY out of you? I used to be like you. I’d see a chair that instantly sparked creativity in my brain, but like a horse with blinders, I’d pass by the piece ignoring all those inspiration alarms going off. It wasn’t until I tackled my first upholstery DIY when I finally got over the hesitancy of doing reupholstered projects. After that, it was as if I couldn’t get enough and now I’m on the hunt for Easy Upholstery Projects to tackle! So if you thought the task too daunting, my friends you are in luck, because I pulled together a list of over 50 easy upholstery projects you can DIY for your home. These tutorials from rockstar bloggers are sure to inspire you! Are you as inspired as I am?! These are some brilliant ways to recreate a home that you love using fabrics that make you smile. I hope this encourages you to try to DIY easy upholstery projects for your home! And if so – send me pics of your projects. 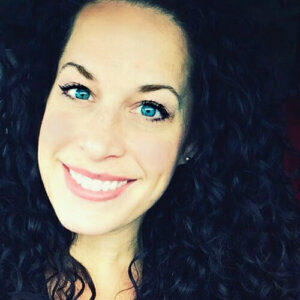 I want to be inspired by you! 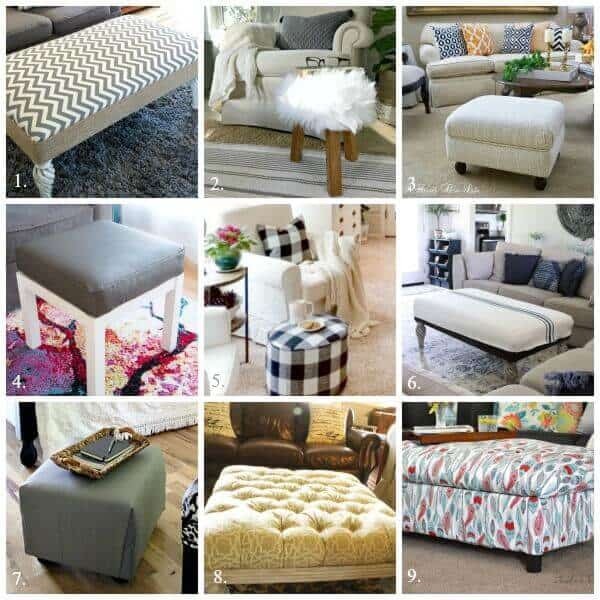 Pin this Over 50 Easy Upholstery Projects for Later! Hi Jen, thanks much for sharing a couple of my projects. 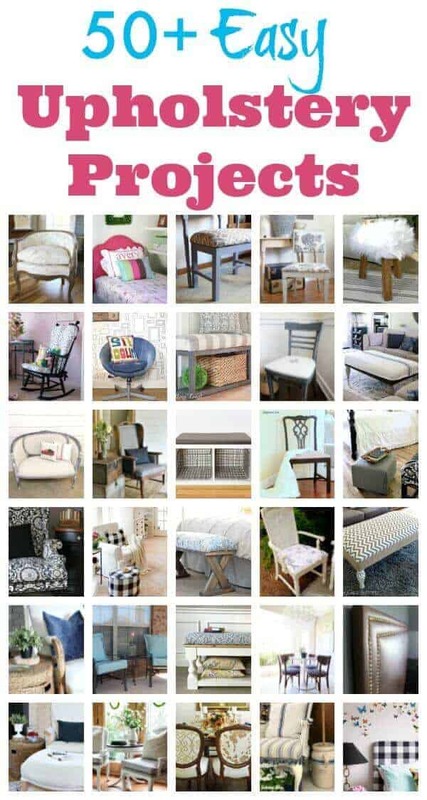 You’ve got a great collection of upholstered projects! I love all these projects Jen! I’m actually going to Pin this for later because this has given me some inspo for a future project! Thanks for sharing these useful and inspiring sites. I’m in the process of a big upholstery project. I’ve done many chairs, but nothing like this. I took the whole chair apart – zig zag springs and all. It was bare bones, and I’m about half way done. Ran out of fabric so back to the store tomorrow. Will share you a photo once I’m done. I found this cool mid century chair in the dumpster in our alley. I’m a sucker for thrown out furniture. I can’t wait to see it! What a find – I love when I find a steal like that! Thanks Lindsey! Aren’t these some awesome tutorials?